Add chicken and marinate for 30 minutes. 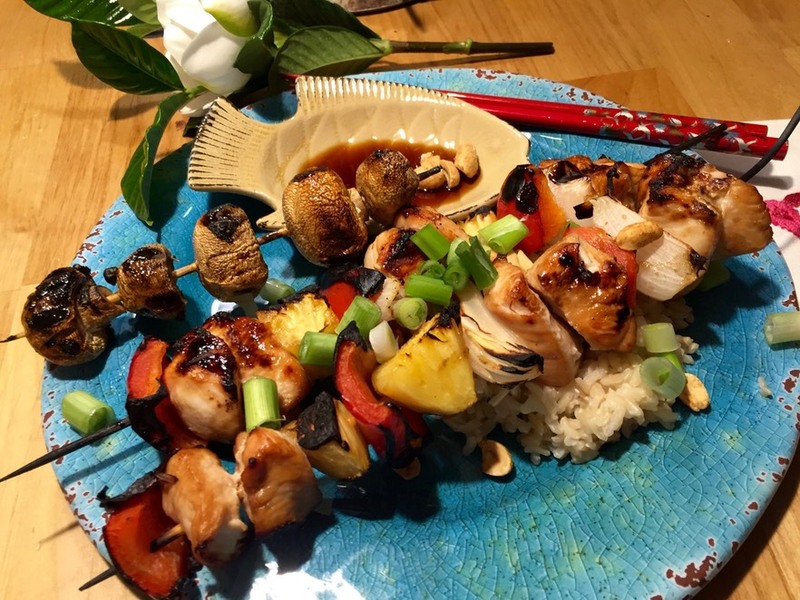 If you are using wooden skewers, make sure to soak them in water for 30 minutes. Grill, turning occasionally, until chicken is firm to the touch - about 10 minutes. Serve with rice, sliced green onions, and peanuts. We made a sweet/hot dipping sauce with equal parts soy sauce, brown sugar, rice vinegar, and sriracha.